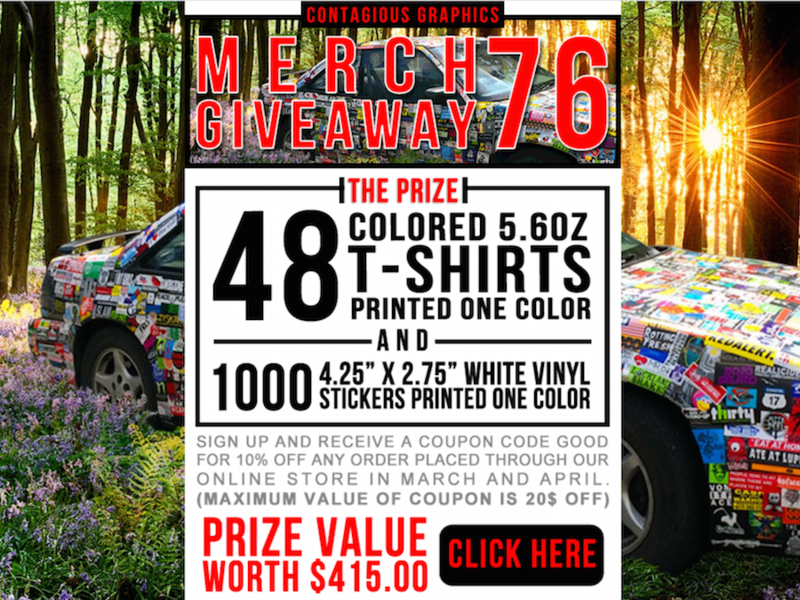 Contagious Graphics - Merch Giveaway and Free Stickers Weekly Contests! Check out our two long running merch and sticker giveaway contests! Enter for a chance to win $415 worth of t-shirts and stickers! 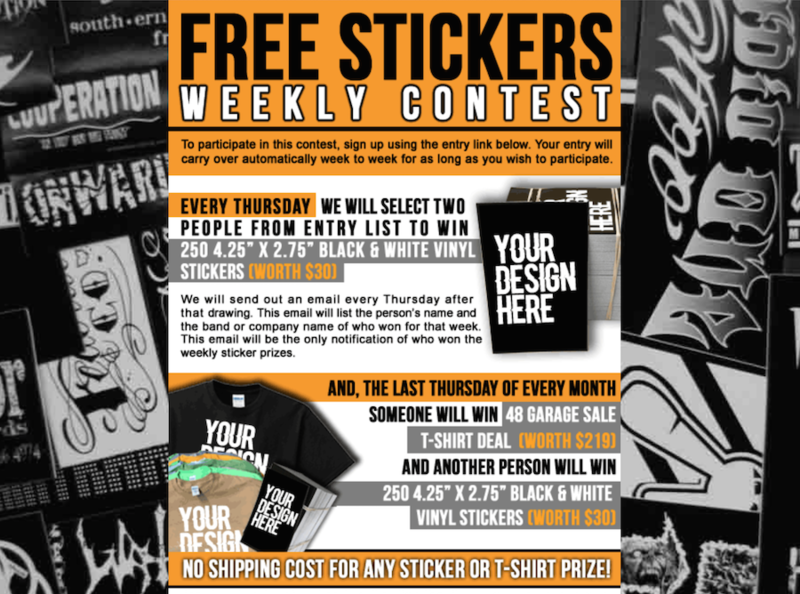 Sign up for a chance to win stickers every week!